Vita Sackville-West wrote Saint Joan of Arc in 1936 at the age of forty-four, and had, at that point, already been writing for thirty years. At fourteen, Sackville-West published her first book and, at fourteen, Joan of Arc first heard the voices. Joan was seventeen when she took command of the armies of France--a peasant girl in the early fifteenth century in charge of a nation's forces. At nineteen she was captured by the British and tried as a witch by a church court. Before her twentieth birthday she was burned at the stake. In 1920 she was canonized by the Roman Catholic Church as a saint. In a clever, brisk voice, Vita Sackville-West tells the triumphant story of a French peasant girl, raised in a country torn apart by the Hundred Years' War, who rose from poverty to military greatness. 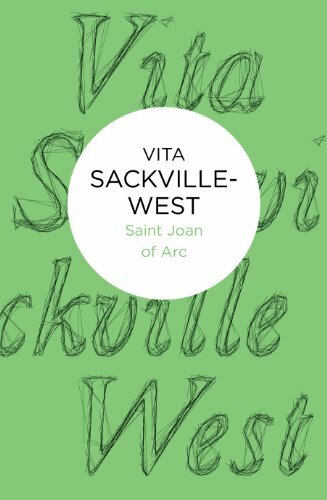 With dazzling insight and clarity, Sackville-West breathes new life into Joan of Arc's beautiful and tragic story.